New England's best skiing & snowboarding are in Vermont, New Hampshire and Maine, but Massachusetts has good skiing as well, with a few more ski areas in Connecticut and Rhode Island. Here's a map of New England's major ski resorts. New England has about 87 public ski areas and 20 private ones. New Hampshire has the most, at 26; Rhode Island, with only one ski area, has the least. Skiers and snowboarders visit New England's slopes 9,600,000 times each winter. About half of those visits are to ski areas in Vermont. Longest vertical drops are at Killington VT (3,050 feet/930 meters), Sugarloaf ME (2,820 feet/860 meters) and Sugarbush VT (2,600 feet/792 meters). Southern Vermont: Ascutney, Bromley, Magic Mountain, Mount Snow, Okemo, Plymouth Notch, Stratton. Central Vermont: Killington, Mad River Glen, Pico, Middlebury Snow Bowl, Sugarbush, Suicide Six. 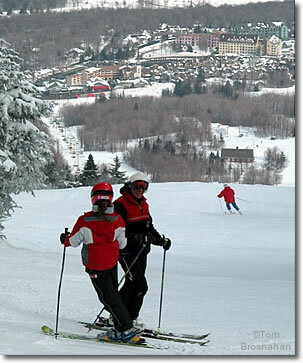 Northern Vermont: Bolton Valley, Burke Mountain, Jay Peak, Smugglers Notch, Stowe. 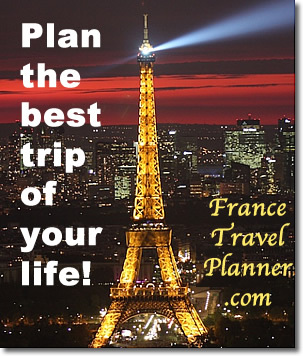 Attitash, The Balsams, Black Mountain, Bretton Woods, Cannon Mountain, Cranmore, Granite Gorge, Gunstock, Loon Mountain, McIntyre, Pat's Peak, Ragged Mountain, Storrs Hill, Mount Sunapee, Tuckerman Ravine, Waterville Valley, Whaleback, Wildcat Mountain.